David Cameron attempted to inject some passion into his mission for the UK to remain a member of the EU by making a “big, bold patriotic case” for membership. His speech is being read as a warning that Brexit poses a security risk to the rest of Europe – which assumes that there is an ever-present risk of it descending into war and genocide. It would be arrogant to suggest that the UK alone prevents Europe-wide chaos but the real risk, it seems, is that the exit of the UK could lead to the exit of other member states. The risk being alluded to is of an unstable Europe which is not bound together by the same ties that bind the EU. Cameron played down the risk of other states, particularly in central and eastern Europe, wanting to leave. But given some of the populist and extreme politics emerging in some of the member states, it is a risk that should not be dismissed. There has long been debate about the role the EU plays in maintaining peace on the continent. It was awarded the Nobel Peace Prize in 2012 and the pooling of resources and sovereignty in some areas means that the EU has done what other international organisations or alliances, such as NATO, cannot. The UK’s decision to join the EU in 1973 was nevertheless seen as being based more on economic pragmatism than a desire to forge a common European destiny. But the extent to which the legal and economic systems have now been intertwined in the long history of the EU mean that Cameron has missed a trick in linking the single market to the achievement of peace. The whole purpose of economic interdependency was to make war not just improbable, but unthinkable between European states. Cameron did not say that Brexit would lead to war. He spoke of “maintaining common purpose” within Europe and questioned whether we can be so sure that “peace and stability on our continent are assured beyond any shadow of doubt”. This again is a pragmatic argument designed to point the electorate in the direction of what we know works, rather than what it does not know. The risk is instability in its many forms – not only military conflict. Cameron also used the opportunity to confront claims that the EU is preventing the UK from having a foreign policy of its own. EU membership has not stopped British cooperation with other states in the Commonwealth or beyond or activities within NATO. EU foreign policy is a curious animal. It is an area (along with social welfare, education and aspects of healthcare) in which member states have been reluctant to pursue integration to the same extent as others. Foreign policy is rather different to the law of the single market, for example, which is both detailed, wide-ranging and generally subject to majority voting in the EU Council. Member states must vote unanimously on foreign policy decisions and the European Court of Justice does not have the power to overrule national foreign policy. This has led to European foreign policy being characterised as “intergovernmental”, since the national governments remain largely in charge. Two Davids are better than one. The foreign policy provisions were amended in the Lisbon Treaty. 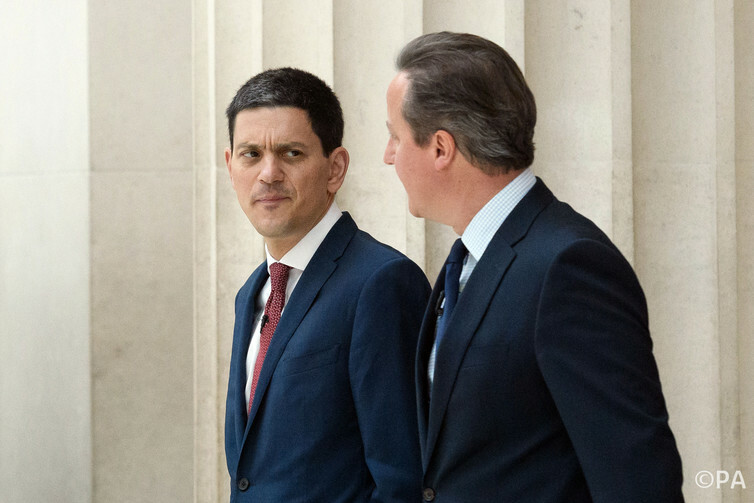 Upon signing, David Miliband, then foreign minister (and the man chosen to introduce Cameron’s speech), said the treaty ring-fenced foreign policy away from other areas of European integration. He argued that the sovereignty of the member states was being protected. While the EU has the institutional machinery in place to be a more effective international actor, it is clear from the treaty that this cannot happen unless all the member states make definite (and unanimous) choices about the direction they want it to take. Of course the UK would by no means be able to influence the remaining EU member states or institutions from the outside. While we often think about foreign policy in terms of military action, sanctions, or even trade, Cameron used the interesting example of combatting Ebola as an issue that requires a joint response. This is very much a practical, response-driven scenario which deserves to be considered alongside more traditional aspects of foreign policy. He is also correct to point to the very complex legal arrangements which underpin the relationship between the EU and non-EU states. In the case of Brexit, if the UK does want to be involved in confronting common challenges alongside the rest of the planet, then the bureaucracy involved in putting in place agreements would be far more onerous than is the case at present and would prevent getting to the heart of the matters which affect us all. 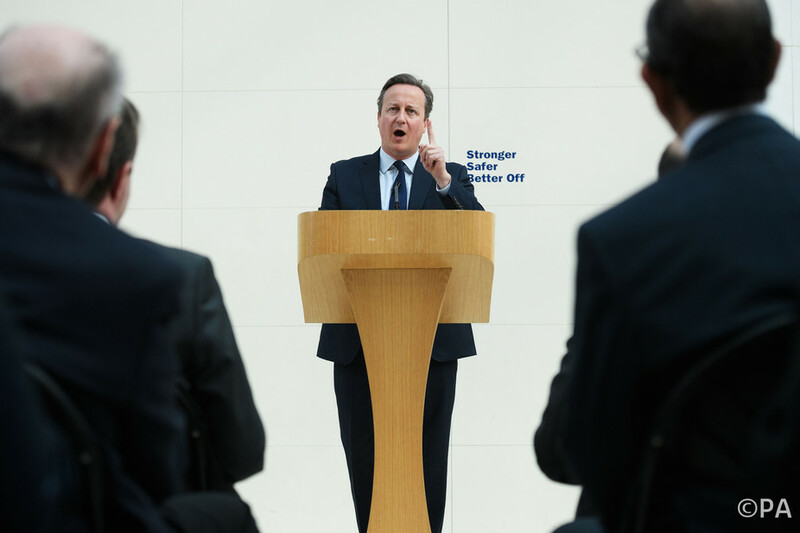 All told, Cameron’s pitch for the UK was not quite a “big, bold” vision for either the UK or the EU in the future. Rather, his view of the UK as being better off sitting at the European table while the decisions are made is firmly calculated to speak to the “obstinately practical” British public, who are wary of grand schemes. Despite the headlines, his warning about peace in Europe is less about the prospect of war in Europe or scaremongering and more about the external factors causing instability in Europe and across the globe. In reading the public in this way, he is counting on the electorate preferring what they know to what they do not know.